Kristi Pierro Jensen celebrates her 25th year of designing Snowbabies, with the introduction of Snow Dream. Snow Dream brings a vintage style to Snowbabies with antique chunky silver glitter and a soft color palette. The classic figures and ornaments are complimented with a line of trim that completes the story. This petite bisque figure is so sweet. 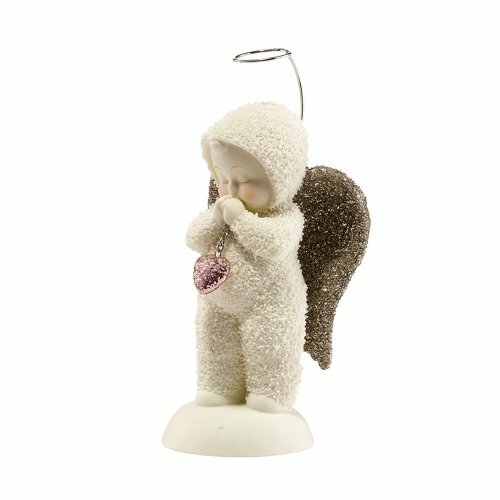 A Snowbabies angel clasps a pink heart and is deep in prayer. The wings are covered in antiqued glitter.